Cue the opening of Arcade Fire's Wake Up. My epic moment soundtrack. 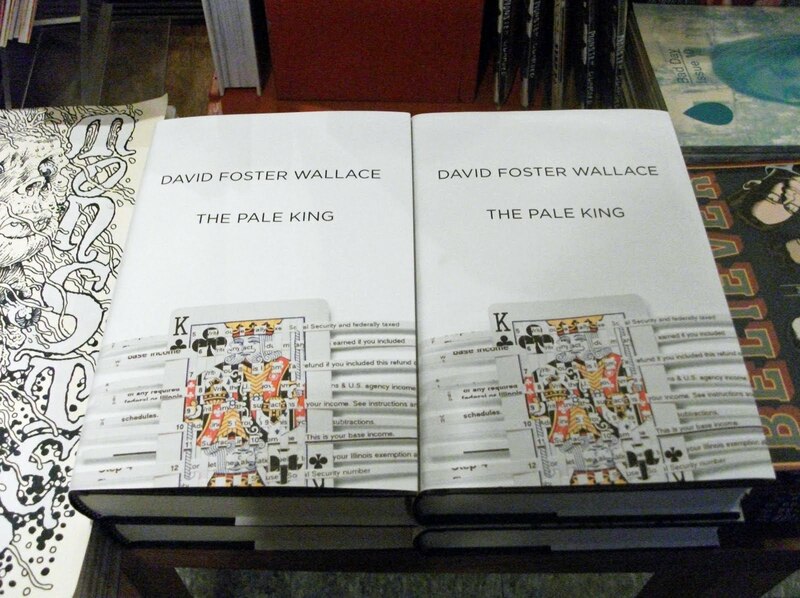 That right there is a stack of the latest and last novel by David Foster Wallace, The Pale King. 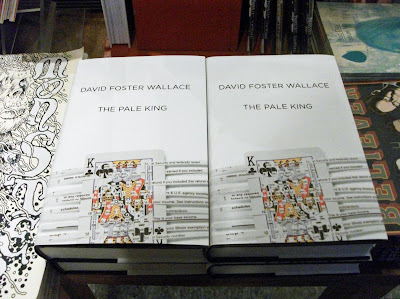 The marketing campaign publication date is set for April 15th (to coincide tax day in America; The Pale King is set in an Internal Revenue Service processing center) but the official release date was March 22nd and the books are already being sold. We received our shipment last night. Come pick one up asap. I reckon that stack is going to shrink fast.